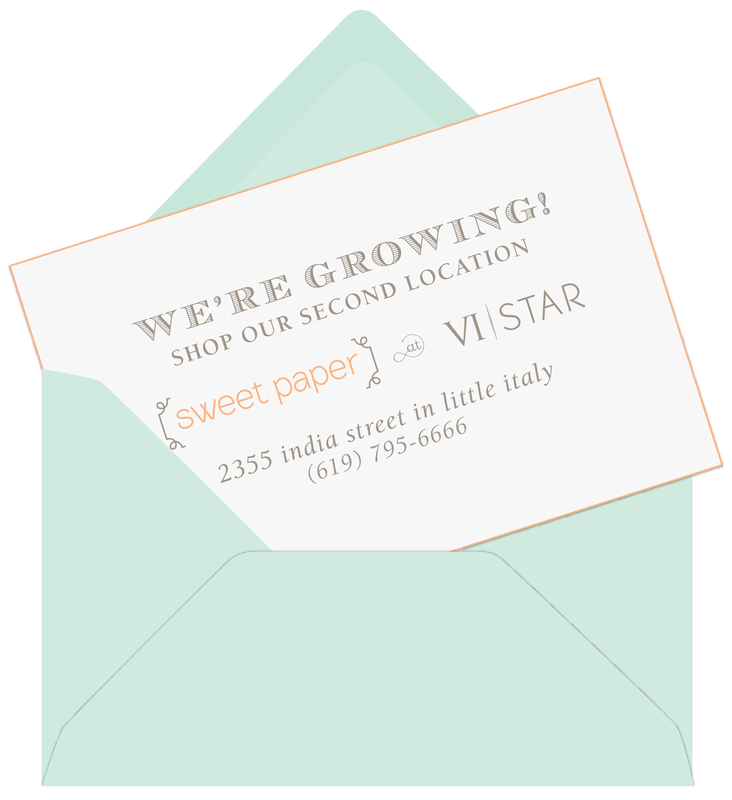 Sweet Paper has a new location! Julie and I are beyond excited to announce that Sweet Paper is expanding! In addition to our La Jolla store, we are now part of a collective in Little Italy. VI | STAR (pronounced Six Star) is a retail collaborative comprised of individual spaces curated by innovative artists, vendors, and designers. You can now get the same fabulous stationery and gifts you are accustomed to in our La Jolla store downtown. Plus we have some exciting new lines included in the mix. Can’t wait for you to visit!